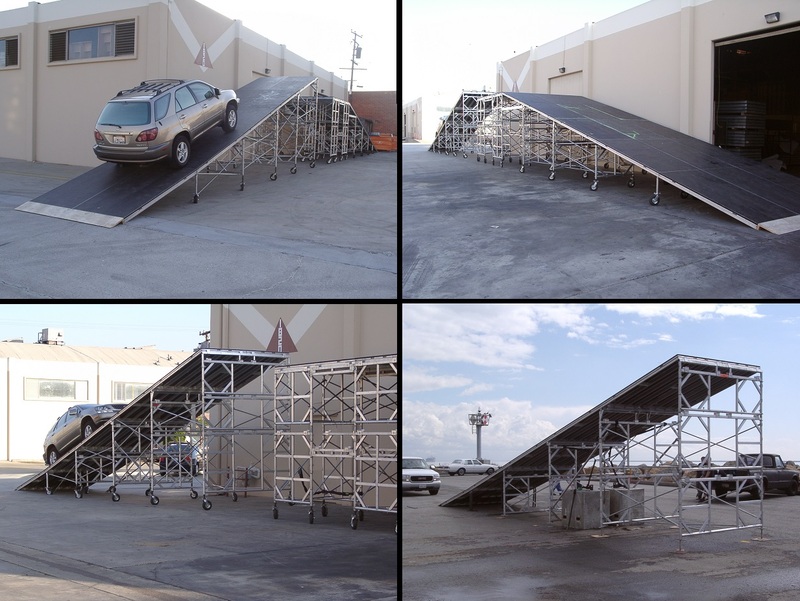 Ramp & Vehicle Display Stages for rent from Stage CMDR, Inc. 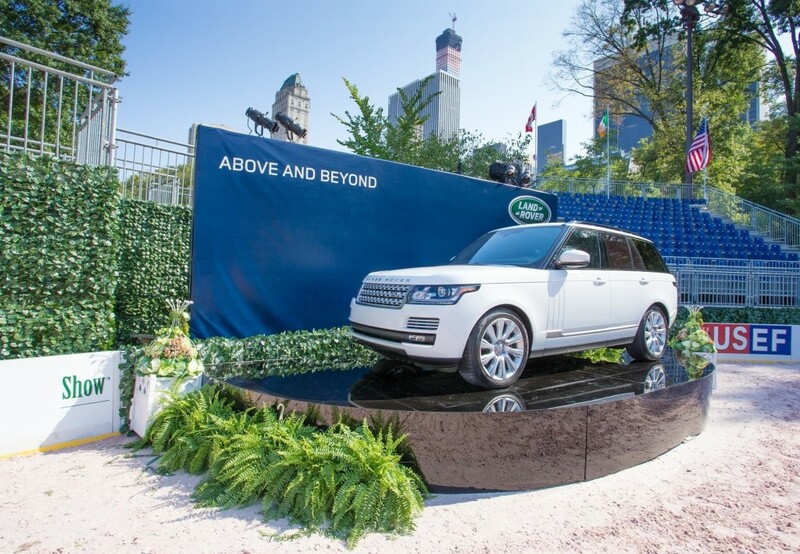 Stage CMDR can build vehicle display stages in any shape and size. 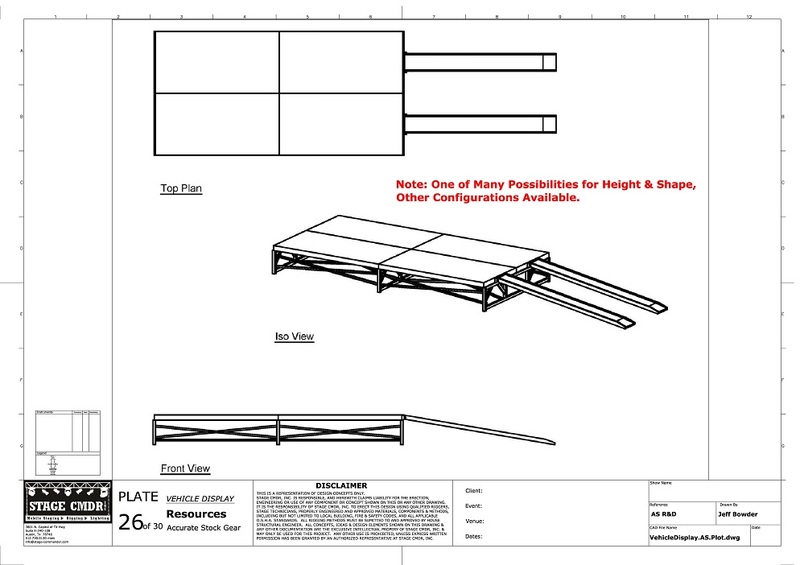 You won’t have to worry about if your vehicle’s weight can be supported by the stage. 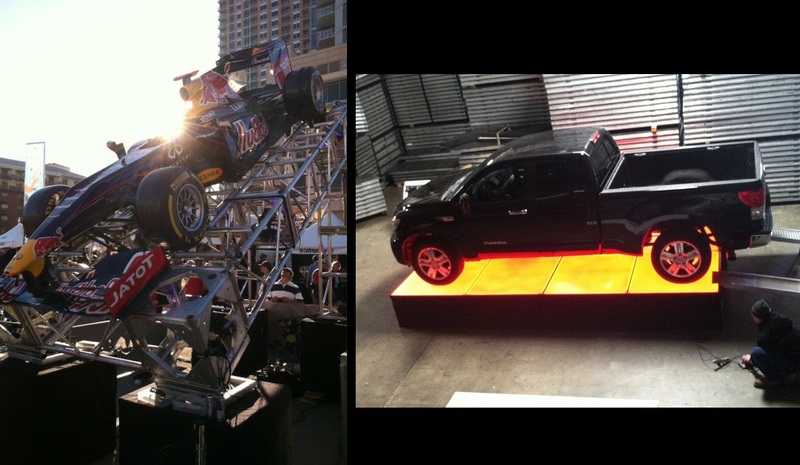 Clients of Stage CMDR have displayed semi trucks on their stages before. 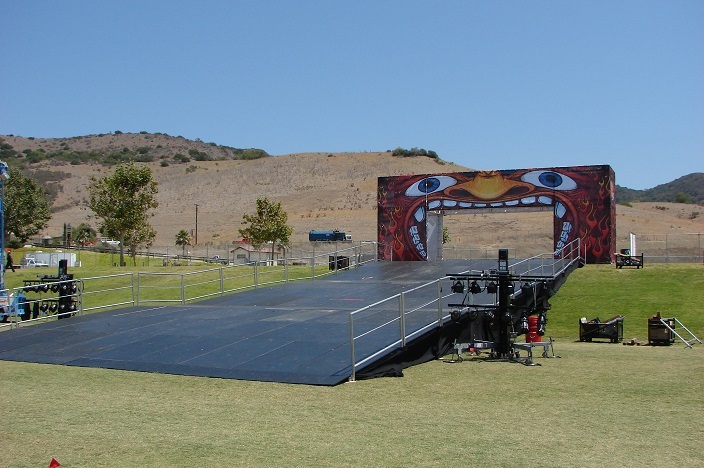 The pictures to the left show how strong Stage CMDR’s stage decks are. 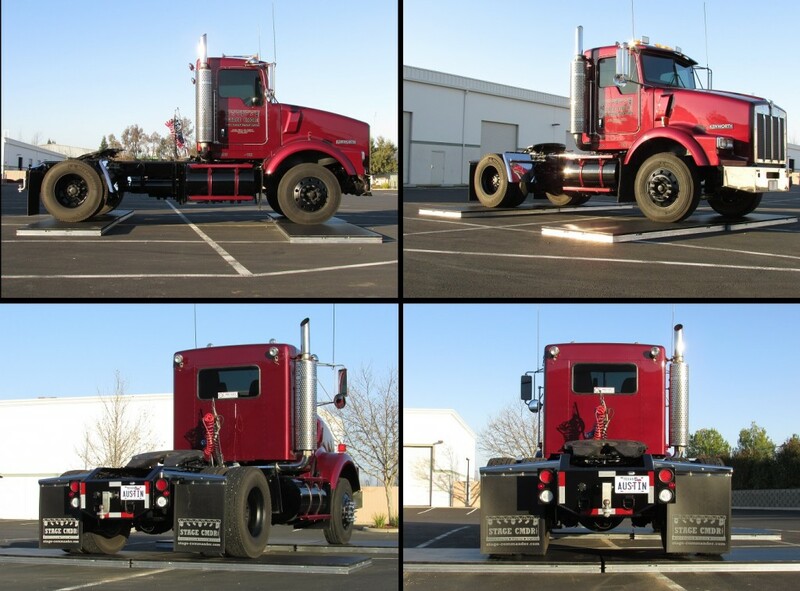 If they can support a semi truck, they can support anything!